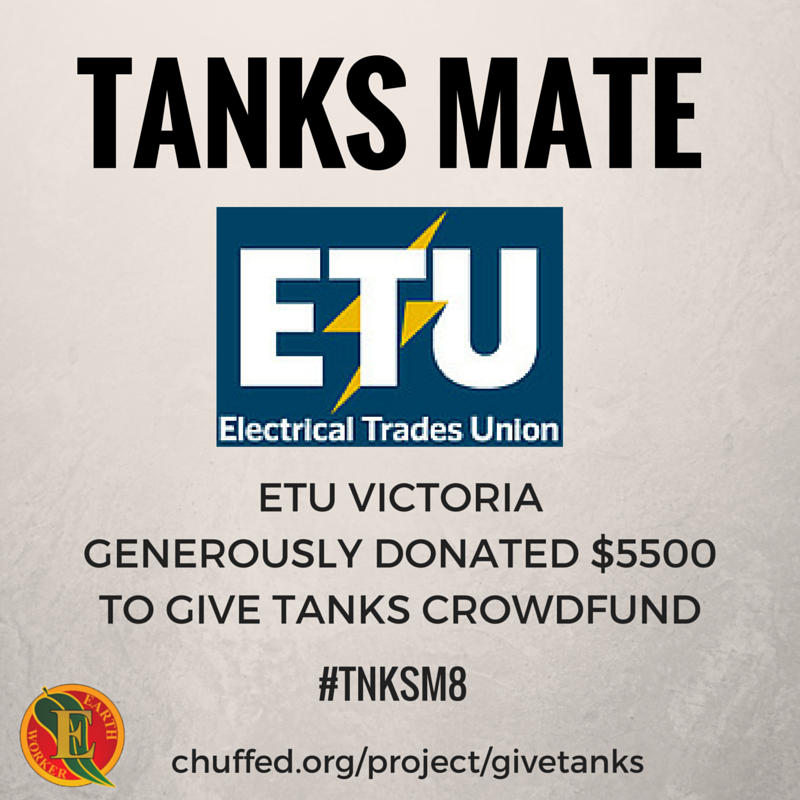 Just Transitions Tour, Christiana Figueres endorsement, Everlast factory buyout & establishment of Eureka’s Future Workers Cooperative, and the #GiveTanks crowdfund campaign made 2015 an action packed year! We take a look back at the year that was. International economist Bob Massie spoke with community members about a ‘Just Transition’ for the Latrobe Valley at a public forum in Morwell. One year on from the Hazelwood mine fire disaster, there are growing calls to diversify the local economy, and to create new industries and employment opportunities that pose less health risks to residents. The public forum, ‘A Just Transition for the Latrobe Valley?’, examined the opportunities and barriers that the Latrobe Valley community faces in ensuring ongoing livelihoods and a healthy environment. Local speakers included representatives from Voices of the Valley, the Earthworker Cooperative and other community organisations – discussed concerns and potential options for the Latrobe Valley, including manufacturing, mine rehabilitation and community health. A Latrobe City Council speaker has also been invited. As Australia nears the end of the mining boom, as older coal power stations reach the end of their lives, and with the massive uptake of solar energy, there is increasing attention on how regional communities across the country can not only prepare for inevitable change, but choose what kind of economies might best serve them. 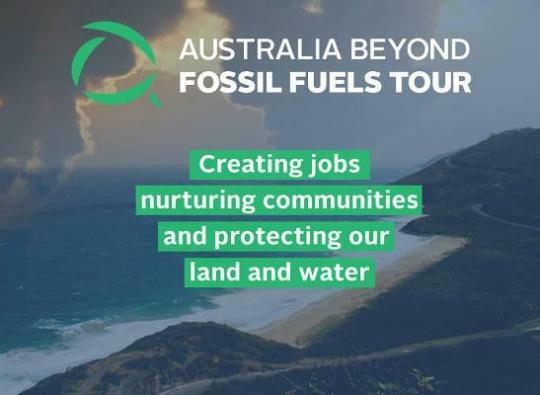 Bob Massie also spoke in the Hunter Valley coal region in New South Wales, as well as in Brisbane, Sydney, Melbourne and Perth. “We hope that the event provides some hope and inspiration about what’s possible, and sparks conversations about what a ‘just transition’ for the Latrobe Valley might look like”, said Earthworker Cooperative member, Colin Long. 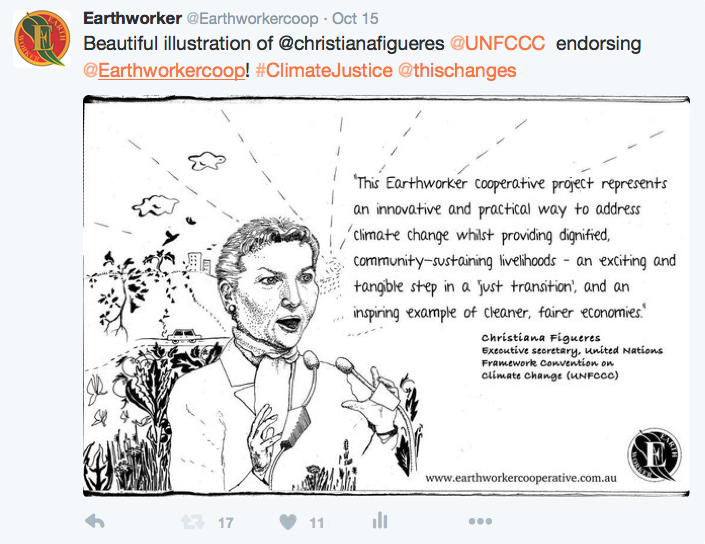 Earthworker Cooperative organisers Dave Kerin, Colin Long and Dan Musil attended a special meeting with the Executive Director of the United Nations Framework Convention on Climate Change (UNFCCC), Christiana Figueres, during her visit to Australia in May. 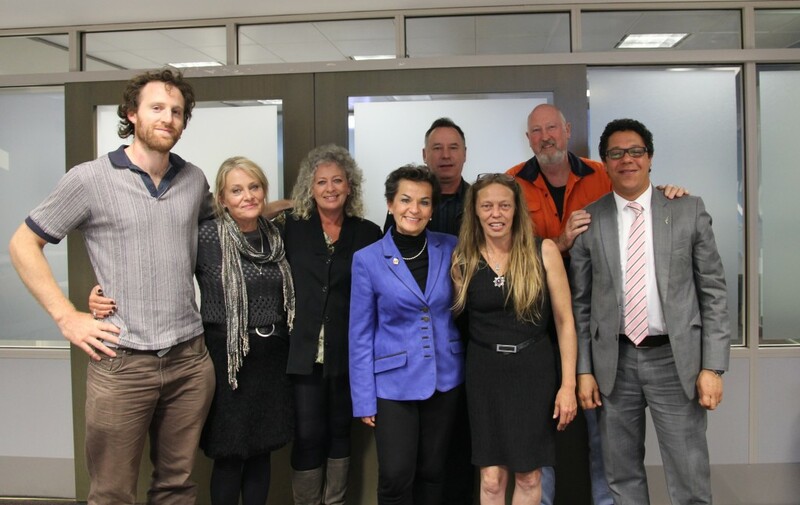 Ms Figueres was visiting Australia in the lead up to the International Climate Change negotiations to take place in Paris later this year, and requested a special meeting with Earthworker as well as representatives of the Latrobe Valley Community. Along with inspiring grassroots Latrobe Valley advocacy group, Voices of the Valley, Earthworker spent over an hour discussing the urgent need for, and political barriers to, a fast and just transition for communities like the Latrobe Valley. 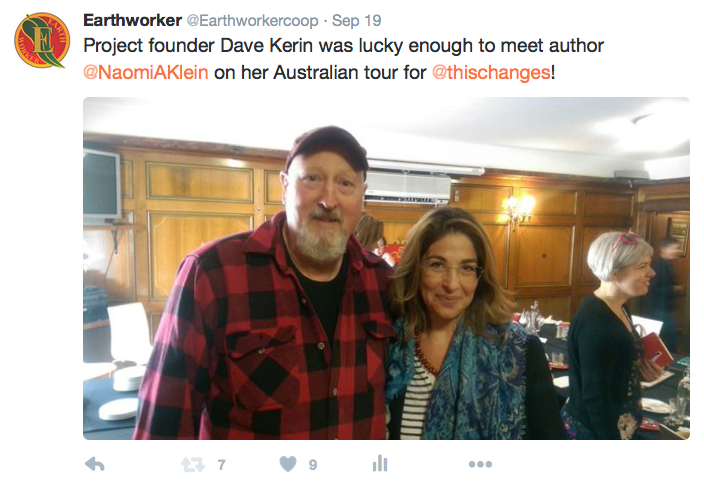 We were also lucky enough to meet Naomi Klein during her “This Changes Everything: Capitalism Versus The Climate” book tour in August of this year! 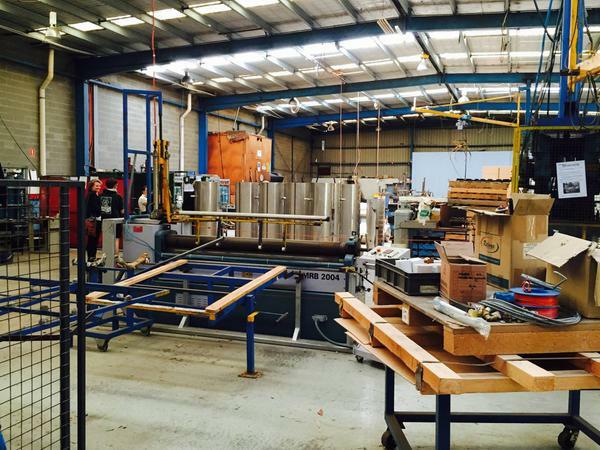 In mid-July, the directors of Everlast Hydro Systems informed Earthworker Cooperative that there was only limited time remaining until either the buyout of Everlast was to be completed or the factory in Dandenong would have to close its doors. 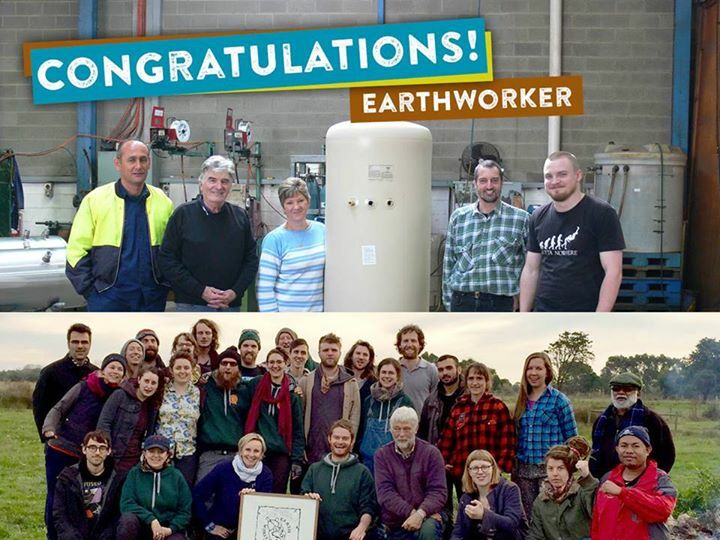 Earthworker Cooperative is now on track to turn Everlast Hydro Systems into the Eureka’s Future Worker Cooperative. 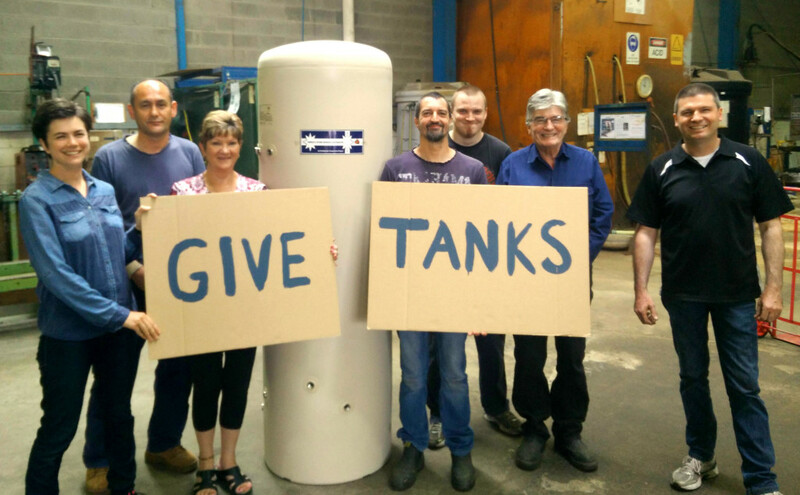 The final amount raised is just over $300K from this last round of debentures, showing how much support there is in the wider community for worker ownership and control of what remains of our local renewable energy manufacturing. On 21 October 2015 we were honoured to be one of nine remarkable community groups and individuals recognised by Environment Victoria from around the state for outstanding contributions to our environment. The 2015 Community Environment Recognition Award recipients are all leaders in their community, and have led gutsy and persistent grassroots campaigns to protect nature and stand up for the places they love, often with very limited resources. 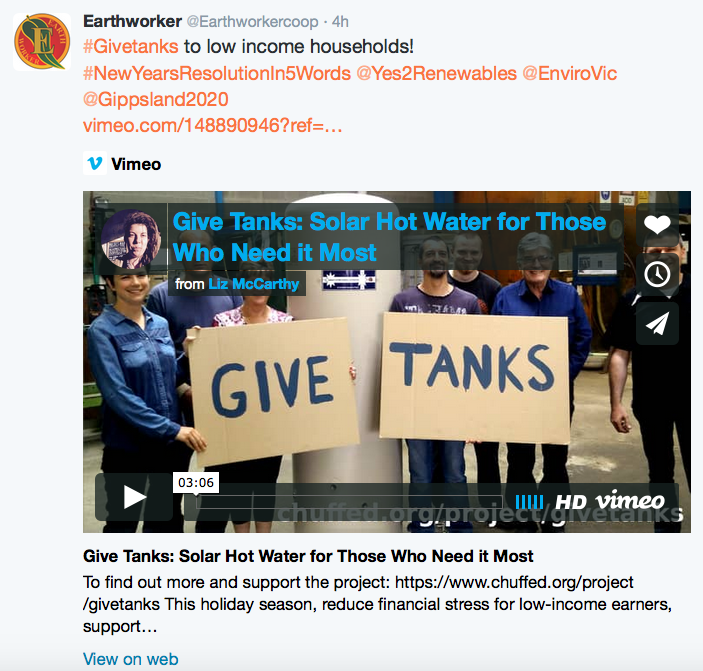 Earthworker Cooperative, together with the Eureka’s Future Workers Cooperative, have launched a holiday season crowdfunding campaign called ‘Give Tanks’. The campaign will raise money to install Eureka’s Future solar hot water systems into low income housing — reducing financial stress for low-income households, supporting local green manufacturing jobs, and reducing carbon pollution.